A husband and a father of four, Shihan Stephen Dwyer considers himself blessed to be able to do what he loves for a living. Martial arts has been a passion of Stephen Dwyer since he was a young boy. Throughout his years of training he has learned many things that have not only made him a better martial artist and teacher, but also a better person in general. A 5th Degree Black Belt, and teaching since the young age of 16, Stephen Dwyer has had the opportunity to have an impact on many people’s lives, both children and adults alike. Watching children grow from the moment they come in to the dojo has really given him some wonderful memories and fulfillment. To see someone who may have problems in school, social or confidence issues, transform into a dynamic person with not only skill, but also confidence and strong character that lasts a lifetime, is an incredibly rewarding experience. He is truly blessed to be able to do what he loves for a living. Stephen Dwyer is also the coach of the studio’s competition team and is a four-time KRANE National Champion in the Mens 30+ Black Belt Weapons and Forms divisions and has won over 20 Grand Championships along with over 200 first place victories in various tournaments in his 21+ years in the martial arts. 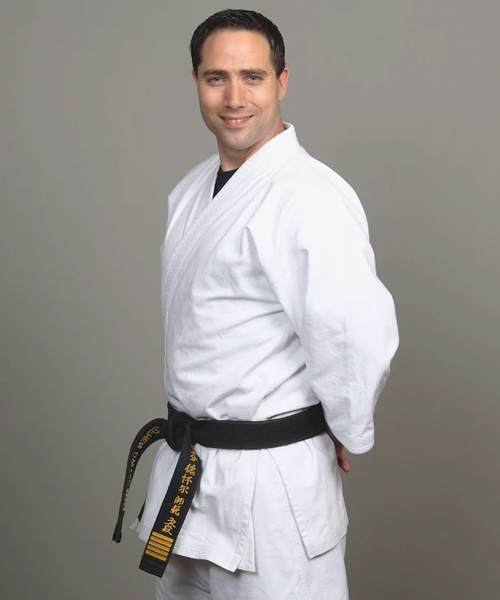 Nidan Scott began training in the early 1990’s under Sensei Paul Mayo at a Nick Cerio School located in central MA. In college she trained in Tae Kwon Do and competed in various local Tae Kwon Do competitions. Upon graduating college Shodan Scott trained in various martial arts including Aikido, Tae Kwon Do and Kenpo. 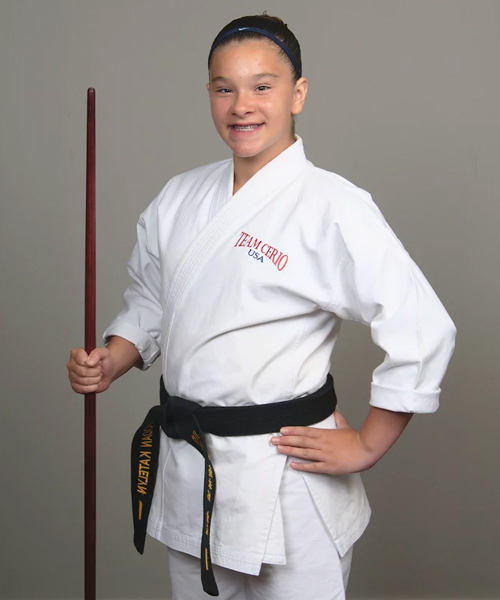 In 2011 she began training with Shihan Stephen Dwyer. In 2015 she earned the rank of Shodan, 1st degree black belt and the rank of Nidan, 2nd degree black belt in 2017. Nidan Scott currently competes regionally in forms and weapons on the school’s competition team. She also enjoys training with her two children who also study at the school. Other hobbies include gardening, cooking and cheering on the New England Patriots. Hi, my name is Katelyn McMillan, but you can call me Shodan Katie. I am 12 years old and entering the 7th grade. I have been taking karate for 6 years and have been competing for 4 years on the Competition Team. I am a first degree black belt. Through the competitions I have won over 100 trophies, 20 medals, and two grand champion awards. I also have earned 2 overall champion awards, 4 state champion awards, 2 national champion awards, and 7 national runner up awards (2nd place). I have dedicated a lot of time to karate and work hard. I also play softball, basketball and volleyball. I have 3 dogs and 2 moms who support me in everything I do. I am looking forward to teaching you and helping you through your karate journey! 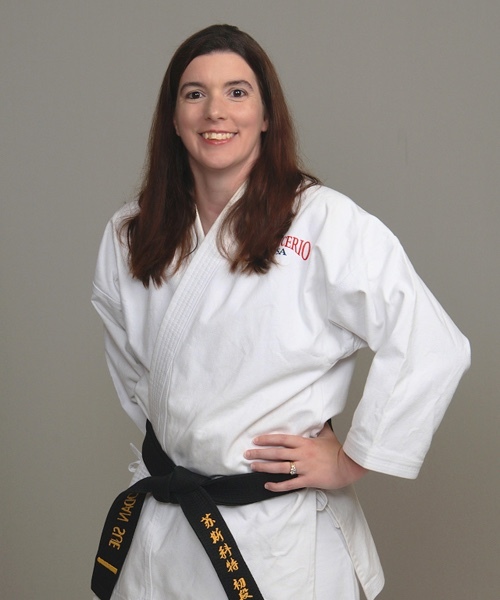 Erin Smith is an 11-time national champion martial artist through NASKA. 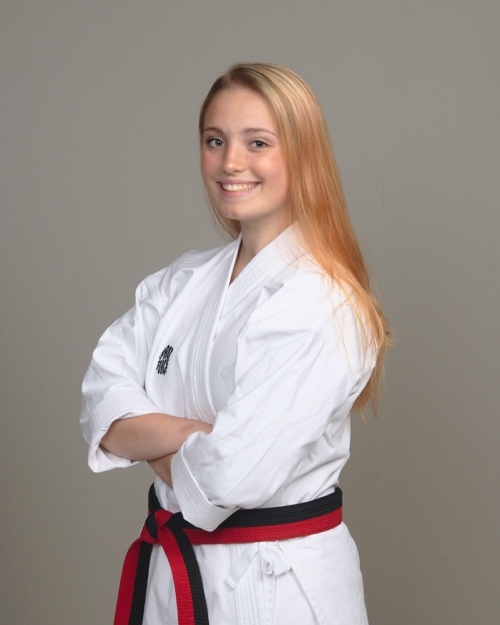 She holds state & regional titles through the KRANE circuit & is a member of the United States national karate team through the WKC & WKU circuits. She has been training in martial arts for 6 years and an instructor for 4 years. She started training at Nick Cerio’s Kenpo in 2015 and has taken on the great pleasure of teaching the children’s classes. She now attends Assumption College in Worcester.